A small town with many commuters and tourists: SWARCO was brought on board to prevent the search for a parking space from becoming a search for a needle in a haystack. The city of Zug, capital of the Swiss canton of the same name, has "only" 28,000 inhabitants - but over 31,000 jobs. The result: a large number of commuters every day, and everyone is looking for a parking space. Since Zug is also beautifully situated on Lake Zug, many tourists come to the city all year round. And they are also looking for available parking spaces. 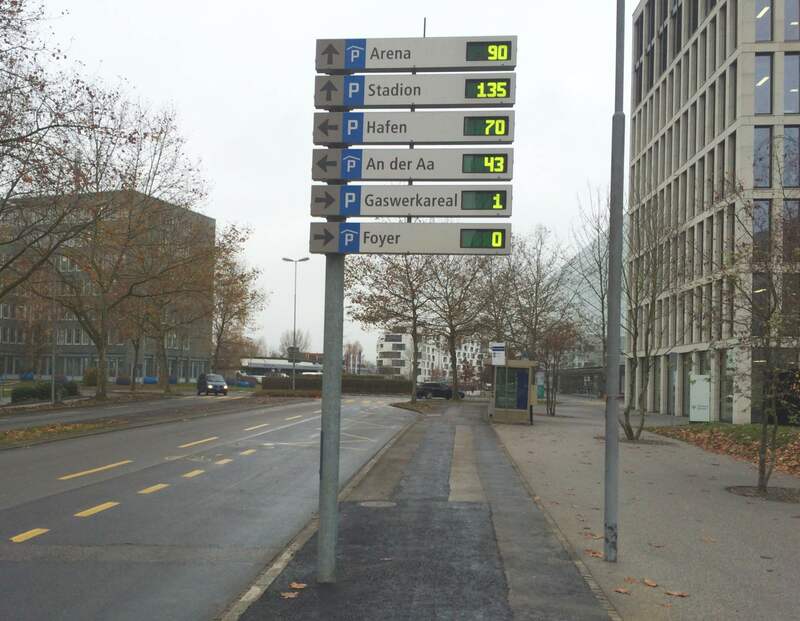 In order to make it easier for everyone to find a parking space, Zug has opted for an innovative parking guidance system from SWARCO. A total of 22 parking facilities are interconnected in SWARCO's Zug parking guidance system. The recognition and display of individual parking spaces via magnetic field sensors was included as a special feature. Particular attention was paid to the historic old town, where the signalling was implemented in a compact form. The main computer is located in the parking garage "Altstadt/Casino" - from here the entire system is controlled and monitored.